All that standing in line for nothing. Sometime soon I’ll be taking my family to Disneyland. It will be a first for my kids who I feel will be at exactly the right age for this experience (6 and 3). When you are a kid you never realize how much work planning such a trip can be for a parent. Forgetting the expense side for a moment (which is very hard to forget in the planning let me tell you), just working out the airline, how to travel with two kids, the shuttle (seriously, how does the official shuttle for Disneyland not have kid car seats already??? ), and what we will need there has been almost like adding on a part-time job. And don’t forget that it is forever since my kids have worn summer clothes, do they even have anything that will fit? See, it’s stuff like this that has turned me into that planning dude with a list. A list I am always adding to. That list has everything from ideas to entertain kids on a plane to food options while in the park (I can’t imagine that my active kids will want to sit down in a restaurant three times a day). It is becoming more and more obvious to me that while my kids will come home with amazing memories that they will cherish; I, on the other hand, will probably be exhausted. The fact is for years I felt like I owned Disneyland. When people spoke about the park to me, or about their own trips, I felt almost like a pleasant overseer happy that they enjoyed their time at my park. I would nod my head, knowing in advance everything they will say and what they saw while there. The first time I went to Disneyland was when I was starting grad school at the University of Southern California. I didn’t even consider visiting the park until I saw an ad on TV (LA was about movie writing and future success for me, not theme parks), I then checked the times, decided which classes to skip and headed out the next morning. It was a rainy day during that visit, which turned out to be perfect. The park was almost empty and I could walk on and off most of the rides. I was there from the opening until they started shutting down. And it was awesome! I felt like a kid again, time sped past, and by the time I left, I wanted to know more, not just about Walt but about how all those imagineers did that. I have books breaking down each bit in The Haunted Mansion for example, documentaries about the early history of the park. Heck, when my literary agent of six years dumped me as a client (something I wrote about in this post), to cheer myself up I went out and bought a 7-disc soundtrack of the Disneyland Park. Granted, no one needs that many recordings of The Country Bear Jamboree (which hasn’t been up in years anyway, and I think for good reasons), but I still love that boxset. And those CDs got me through a difficult time in my writing career. If you were to walk down Main Street with me, it would be like hiring a tour guide. I can discuss with you the names on the different windows, Walt’s apartment, Club 33, the scale used in the construction of the buildings, and… well, I would talk a lot, let’s just agree on that. Yet, this trip to Disneyland, now with the kids along, is not going to be about me. I need to turn my DL mind off, stop thinking about what I want to do, and focus solely on their little magical princess and Buzz Lightyear dreams. I’m sure for many individuals such a thing would be easy, but I know, honestly, there will be moments when this is going to be difficult… very difficult. To almost help emphasize that this visit is not going to be about me, my favorite ride at the park is going to be shut down during my trip. Yes, Disneyland is sending me a message that it is not about me! Oh, I know DL is all about refurbishments and innovation (a fact as a fan I appreciate wholly), but when you hear that your all-time favorite ride is shut down during the entire time of your visit. It hurts. Right there (pointing at heart). Granted, I’ve been on the Indiana Jones and the Temple of the Forbidden Eye ride more times than I can count (I had an annual pass during my time in Los Angeles… each year), but I still miss it. It is like a family member I haven’t seen in a while. In many ways, most of the things I own from DL around my house relate to that ride. Two sweatshirts, two t-shirts, a coffee mug, some toys, a bunch of paperback Indy novels (which I used to read on airplanes), and even the gray blanket on our couch all were purchased at the shop across the street. And the ride is closed? Really? Here is the thing, there is a good chance that if the ride was even open it would have been a selfish endeavor of mine to have even got on it. My son is right at the height line for it, and really he knows nothing about the films. So, (a) he might not be able to get on it, which means I would have to go solo with my wife taking the kids someplace else and (b) he might not really get much out of it, since he doesn’t know the movies yet, save that there is a big scary snake and the boulder at the end is huge. This visit is about them. Message received. Oh, I’m not complaining. I love being a parent! And my kids are a lot of fun. They are my heart and soul in so many ways, but, like I said, Disneyland was my park. Okay, that sounds whiny, but I am being whiny. I get that. And to be honest, I’ve indoctrinated, my children into the DL dream. So to not take them, or to say no to something around this trip would be just as cruel as taking the Indy ride away from me. When my wife is away for an afternoon, you can usually catch me and my kids playing around the house (usually it involves me chasing them as a creation they call the “Tickle Monster.”) with that ex-agent Disneyland soundtrack playing in the background. So maybe a better way to look at this for me is that this is adding a second layer of awesomeness to the park. They get to claim it as well. Yes, that is the mature way to look at it, right? Granted, when I go to Disneyland with my family in the future, the chance I will meet Sir Paul McCartney is pretty slim (or get to see my wife faint). Yet, if there is one thing I have learned about Disneyland is that anything is possible. It’s one of the reasons I love that place in Anaheim. And, yes, when we leave I’m sure my kids will feel the same about that magical place that I do. But the Indy ride? Really? It is going to be down the entire time? 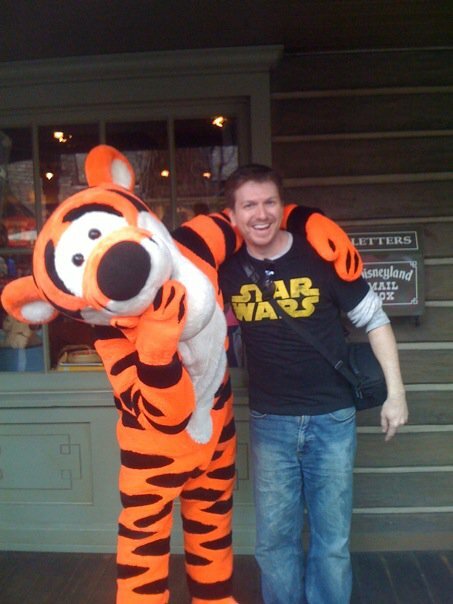 This entry was posted in Life, Parenting and tagged Beatles, Children, Club 33, Disney vacation, Disneyland, Disneyland trip, Family Trips, Forbidden Eye, Imagineers, Indiana Jones, Jungle Book, Life, Parenting, Paul McCartney, Walt Disney by Scott D. Southard. Bookmark the permalink. I enjoyed reading this. I think I would have stood there tongue-tied if Paul McCartney had been standing in line in front of me. Well, luckily it was a dream. But I agree. I imagine though that he would have been humming. Don’t you think he would have been humming some kind of tune? But aren’t dreams supposed to come true in Disneyland? I thought Uncle Walt promised! Perhaps Sir Paul might have hummed ‘A Pirate’s Life for Me.’ I like to think so. 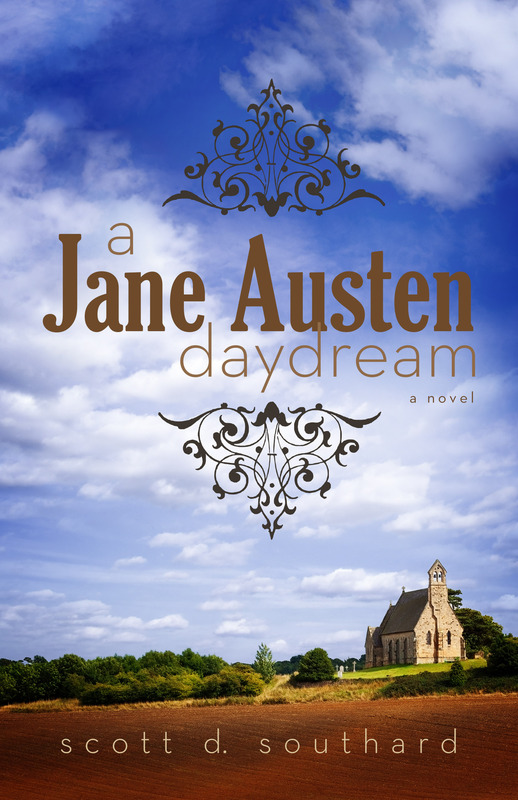 I have quite a bit of posts like this on the site, and of course there are my books (like A Jane Austen Daydream). I always consider myself a better fiction writer than a non-fiction dude. Because of the response to this site, I am preparing a book of some of my popular posts over the last few years. I hope to have it out in March or April. The working title is Me Stuff. Keep an eye out for it! Beware the Dumbo ride outside Pinocchio’s Tavern. After we lost our five-year-old in a crowd in the tavern, we walked outside, still shaken, to stand in line for one hour in the blazing Florida sun. By the time I was swinging Dumbo’s ear or head or whatever it was that was making the ride go up and down, I was so utterly broken by the heat and almost losing one of my kids on a family vacation I nearly had break-down while goofy, happy music played. Now, I can handle most anything life throws at me, but most families will tell you – there’s always THAT POINT, THAT MOMENT at Disney when you’re brought to your knees. Oh, man! That is a story right there. I can’t imagine what that was like. My son once got lost at a zoo and it was Hell for five minutes. I think that was the fastest I have ever run as I sprinted around the zoo shouting for him. My brother has offered to babysit my kids one of the evenings when we are there, and my wife and I are hoping to disappear to their jazz. Hopefully that (and the drinks) will help us get through one to too many trips to meet Cinderella. Scott, from one DL/Uncle Walt lover to another: I understand everything you’ve said in your post. My first trip to Disneyland was in 1956! My favorite photo of myself: I’m sitting on the potty chair with my Mickey ears on my head. When my mom and I moved to San Diego in the mid-60’s, Disneyland became my second playground. All my high school trips were to DL, and I have the BEST memories of those (and rainy nights there). 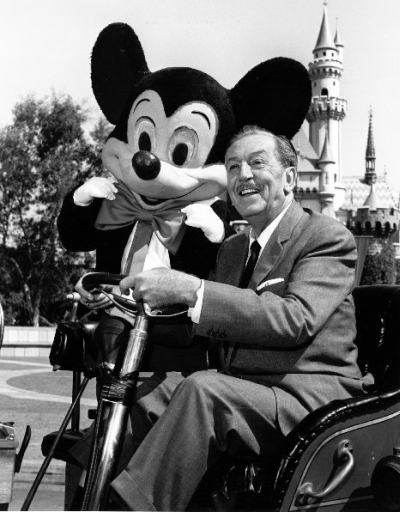 Yes, each and every Disney fan feels deeply that Disneyland is theirs, and I think that’s the way Walt wanted you to feel. So now, at (eek!!!) 60, I still love going to DL every couple of years and can’t WAIT to get on Pirates of the Caribbean (that one’s my favorite) – over and over and over again. I never had kids, so I do envy you this chance to see the place through their eyes. Have a wonderful time at the happiest place on earth – even if you have to do it without Indy Jones! Oh, and – yep – Sir Paul would be the perfect addition to that vacation, wouldn’t he? 1956, that is awesome. You got to see the early years. I’ve seen some documentaries of it back then, and it looks very different. Do you find that the experience is different as compared to now? Does it feel more “busy” in the park since then or organized? I’m pretty sure Pirates will be the first ride we go on. The trick is convincing a 6 and 3 year old to go in the Haunted Mansion. I keep telling them it is like a Scooby Doo episode. The Disneyland I remember from the late 60’s/early 70’s felt cozier and in some ways more fun. For instance: New Orleans Square was much less commercial. There was an actual antique shop in it; also a perfume company that made custom scents. I remember buying a little box filled with pipettes of all the perfumes they carried (wish I still had it! )… And even though DL was always commercial (let’s face it: it’s one big ad for Disney), it feels much more so now. I cherish all the little souvenirs I’ve kept over the years, but wish I’d kept so many more since things have changed so very much in all the shops. I could go on and on, but I’ll spare you. Suffice to say I’m jealous you’re going and I hope you have a spectacular time!